Join us Live Tonight! Can’t wait to see you Colby Rebel! 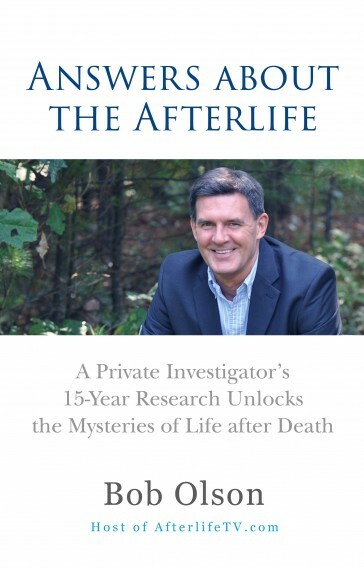 Don’t Miss Jennifer Shaffer’s interview with the Host of AfterlifeTV.com and Author of “Answers About The Afterlife,” Bob Olson. He has been an Afterlife Investigator & Psychic Medium Researcher since 1999. Come Unlock the mysteries of life after death and explore the enlightening discoveries of a private investigator’s 15-­‐year investigation. Answers about the Afterlife is a comprehensive resource answering 150 of the most crucial questions about what happens when we die. This is another interview that you don’t want to miss! A former private investigator, Bob Olson is an Afterlife Investigator & Psychic Medium Researcher. In his search for evidence of life after death since 1999, Bob has tested hundreds of psychic mediums, spirit artists, past-life regressionists and other related practitioners to weed out the legitimate from the phonies, frauds and scam artists. AfterlifeTV.com is the most recent of Bob’s resources to guide and educate you about the afterlife. Here you’ll see videos where Bob talks with authors, experts & practitioners (Conversations), videos of Bob sharing what he’s learned from his investigations (Reports), and videos of people sharing their afterlife experiences (Experiences). Unlock the mysteries of life after death and explore the enlightening discoveries of a private investigator’s 15-year investigation. This book is a comprehensive resource answering 150 of the most crucial questions about what happens when we die. Now you can delve into the life-changing insights we learn from near-death experiences, after-death communications, spirit contact through mediums, past lives, past-life memories, past-life and life-between-lives regressions, out-of-body experiences, soul pre-birth planning, deathbed visions, dream visitations, shared-death experiences, and so much more. Whether you’re grieving the loss of a loved one, curious about what happens when we die, or pondering your own mortality, this book will leave you feeling less fear about death, inspired to live a more loving and purposeful life, and comforted by new thoughts about your loved ones in the afterlife.